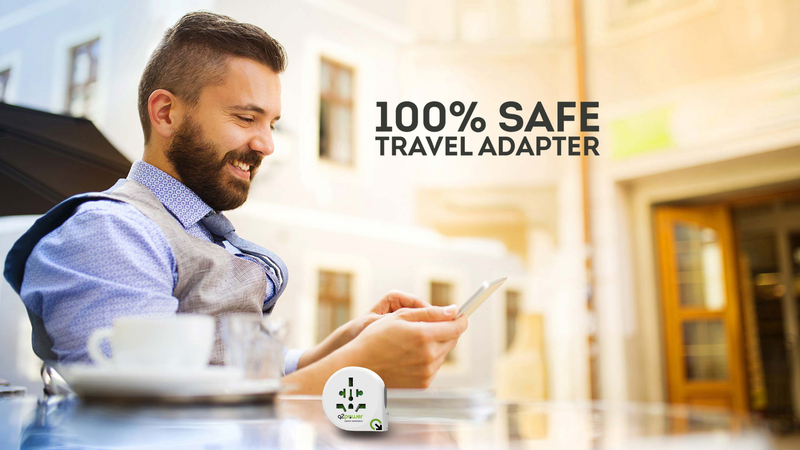 Wherever you come from – no matter where you are traveling – with our country adapter line, with and without USB charger, you are provided with power worldwide. 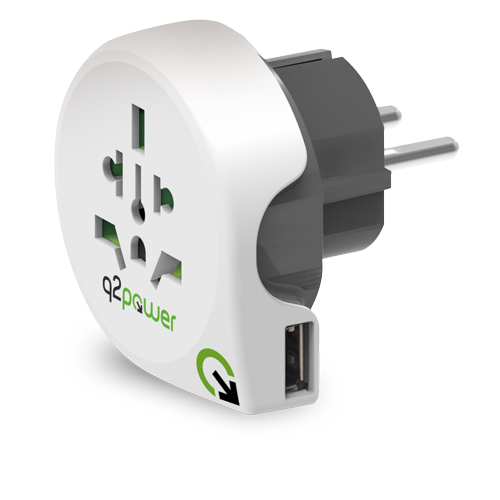 The USB chargers already achieve the environmentally conscious energy efficiency level VI and thus exceed the required standards. The focus is not only on the quality but also on our customer service. We are here for you! 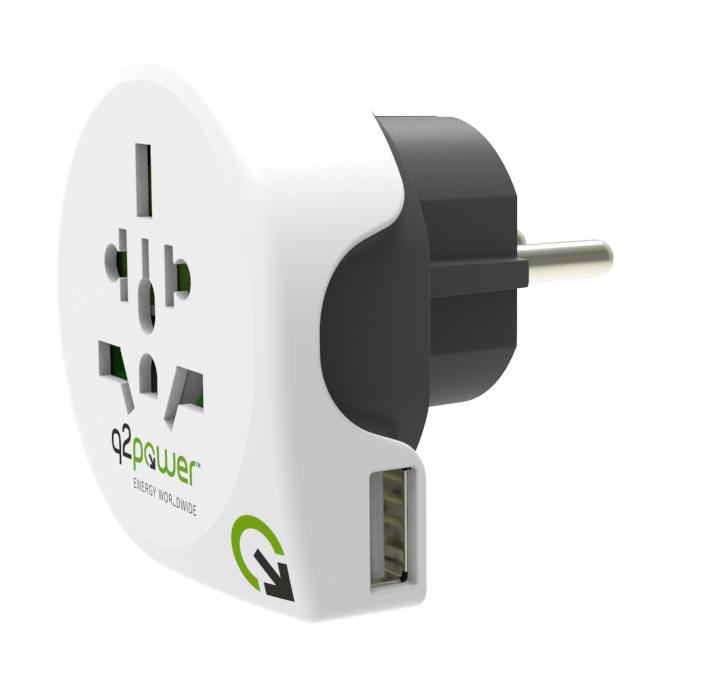 q2power™stands for „quality to power“. We have a strict quality control during the production process for all products. Of course, our products are safety-to-date. To be able to incorporate the latest standards in our new innovative products, all products are tested through its paces by reputable certification bodies (IEC, Dekra, etc.). As long-standing experts in this product area, we are your competent and reliable partner in all respects. Our products guarantee the respective highest safety and quality standards.